The Yacht Rock Genre at its smooth sailing best…Featuring 3 of the Original Founders! In 1975, Pablo Cruise released its first album simply entitled, Pablo Cruise. The album cover was shot in the tropical gardens of San Francisco’s Golden Gate Park and it featured a huge gorilla standing front and center. The band members were nowhere in sight, creating a mystique surrounding Pablo Cruise. When asked what the name Pablo Cruise meant, the well-rehearsed answer went something like this: “Pablo” represents an honest, real, down to earth individual and “Cruise” depicts his fun loving, easy going attitude towards life. And that’s what Pablo Cruise music is all about. Honest, down to earth vocals, with fun yet elegant, infectious grooves. As breezy as the t-shirts which bore its name, the band ruled the adult contemporary charts with its jazz-influenced pop sound in the 1970s, reaching the top 10 with mega hits “Whatcha Gonna Do When She Says Goodbye?” and “Love Will Find A Way,” and several other top 20’s. After a long hiatus (over 25 years! ), the band is back on tour – featuring three of the original founders: David Jenkins (guitar, vocals), Cory Lerios (keys, vocals) and Steve Price (drums, percussion), plus two new band members: Larry Antonino (bass, vocals) and Robbie Wyckoff (vocals, percussion). Robbie served as lead vocalist for the Roger Water’s The Wall Live Tour and toured with the show internationally for many years. 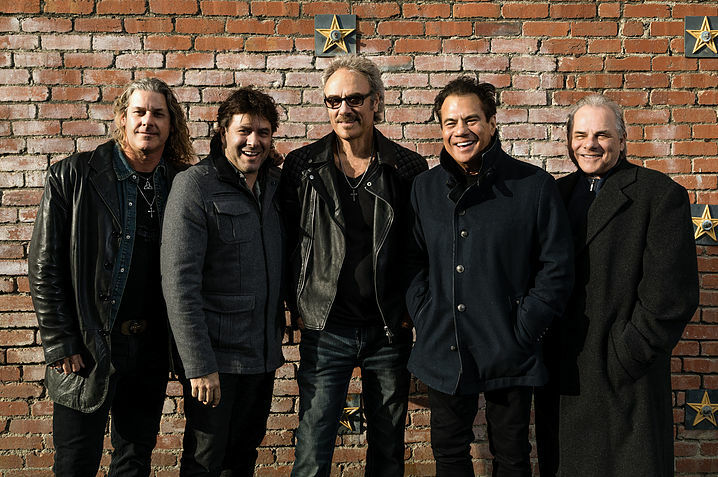 Today, Pablo Cruise is bringing more energy and excitement to the stage than ever before, and with the addition of Larry and Robby, the band has never sounded better. To hear Pablo Cruise on record is one thing, but to experience the band live is an exhilarating event!